As rapporteur for the revision of the Dublin III regulation, which decides which member state is responsible for reviewing the asylum application of each individual who has made it to the EU, I have had the privilege to lead the work of the European parliament in creating a proposal for a common European asylum system. While the European parliament has delivered clear solutions that have gathered broad political support, the same cannot be said for the Council of Ministers, the other legislative institution of the EU. We have made it through the refugee crisis of 2015 and the number of asylum seekers that cross the Mediterranean Sea has drastically decreased. In fact, this year only 91000 refugees had arrived in the EU by September, and that is the lowest number in recent history. Although we have had a few turbulent years, there is no longer an ongoing refugee crisis in Europe. However, in my view, we now have a serious political crisis. Between the 18-19th of October this year the 28 heads of state and governments of the EU member states gathered in Brussels for yet another summit, where migration was the top-issue on the agenda together with Brexit. 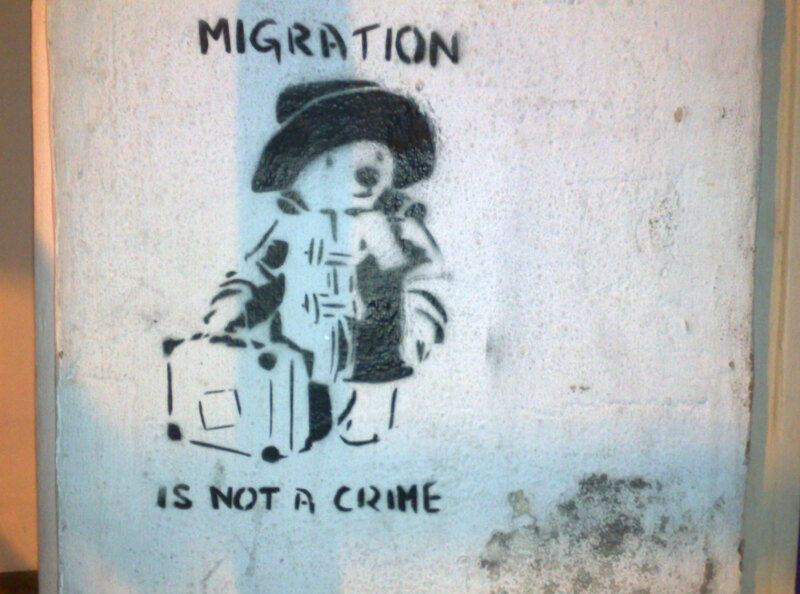 Unfortunately, the European Council failed to reach a decision on the future of EU migration policy. Instead, a number of other proposals on how to handle future asylum requests within the EU have been suggested. Despite the horrible reality of thousands of deaths and the inhuman suffering on the Mediterranean, some national political leaders are even suggesting we revoke the Geneva convention and only provide care for refugees who remain outside of Europe. The idea of only providing protection for refugees outside of Europe is not new. In fact, it seems to flare up every five to ten years. Previously, these debates have been discontinued by the realisation that none of the proposed suggestions were feasible in practise. The most glaring problem with sending EU asylum applicants to containment camps outside the borders of the EU is that there are few countries that are suitable for such relocation. Likewise, there are few countries who are willing to take on the responsibility for such camps, which risk growing huge with no end in sight. It is also worth considering that Europe found it very demanding to care for the refugees that arrived on our shores in 2015. Therefore, it is not hard to imagine that it would be difficult to convince 11 million Tunisians to indefinitely open their country to all the asylum seekers of Europe. If one entertains the idea that the EU would succeed in establishing asylum camps outside of its borders and repeal the Geneva Convention, the EU would still have to accept the heavy responsibility as other nations would follow this dubious example. Let us assume that these policies had been active at the beginning of the civil war in Syria and Iraq. How likely is it that Jordan, Lebanon and Turkey would have accepted to host the five to six million refugees that fled these conflicts if they were under no obligation to do so? How are we to expect a country the size of Lebanon, with 4.5 million citizens, to accept several million refugees when the combined member states of the EU, with over 500 million relatively rich citizens, claim to be unable to care for more than a few thousand? It is likely that the borders of Syria and Iraq would had been closed, thus trapping millions in active warzones. The humanitarian catastrophe that this would have created is unimaginable. Instead, these people were able to seek refuge in neighbouring countries as well as in the EU. Unfortunately, there are no easy solutions when it comes to EU asylum policies. The current state of asylum policy is deeply cynical. We are intentionally making it difficult for people in need of protection to get here, because politicians are fully aware that their citizens are not prepared to accept an unlimited amount of refugees. The current system is by no means perfect, but it offers a model that globally protects the individual right to asylum while simultaneously respecting real world practicalities. I do not believe in changing the asylum system through revolution, but rather through pragmatic reforms in the political centre. The overwhelming majority of the world’s refugees are outside of EU borders and it is a given that the international community should do all in its power to provide support and protection wherever it is most needed. It should also be a prioritised goal to create better conditions for more countries to become secure enough to receive refugees. However, this does not simply equate labelling an unsafe country as safe. EU aid could be used more strategically to this end and in order to reduce the risk that people in neighbouring countries would also be forced to flee a spreading conflict. Many of those that make it to the EU and apply for asylum, without fulfilling the criteria to receive protection, are doing so because there are virtually no legal ways for them to migrate with the purpose of employment. The largest category of migrants are not refugees, but rather the controlled flows of legal migrants. These consist of workers, students, researchers, experts, seasonal workers and returnees that are moving back to their country of birth or people changing countries to join a partner. Any controlled migration system must offer legal options for those individuals who wish to legally build a future within Europe. Such a system reduces the incentives to arrive in an irregular fashion and increases the likelihood of countries outside of the EU to agree to functional returns agreements. In this way, people that have no right to stay within the borders of the EU could easily and effectively be returned to their home country. With such a system in place, fewer ineligible asylum applications would be made which would ease discussions about the allocation of asylum seekers. Finally, a system that fairly divides the responsibility of accepting asylum seekers between EU member states is needed. It is impossible to get around the fact that the responsibility of reviewing an asylum request has to be undertaken by a specific state. The chaotic situation of today, where countries are competing to avoid this responsibility, must cease. It is time for the member states of the EU to agree on fair, pragmatic, and humane rules that will provide long-term solutions to the asylum process. Countries that would wish to opt out from the system must face severe consequences. They can either be excluded from the Schengen Agreement or have their EU financial contributions significantly reduced. It is not reasonable to expect money in solidarity on one side whilst refusing to cooperate on key challenges. It is clear that the road to a well-functioning European asylum process will be long and very complex. However, as the saying goes: if there is a will, there is a way. This is also true in politics. The next step is to plan the work needed to reach our main goal. The European Parliament has delivered, now I expect the Council to contribute to do its part. 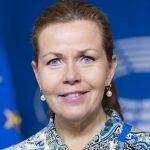 Cecilia Wikström has been a Member of the European Parliament since 2009, representing Sweden’s Liberalerna party. She currently chairs the European Parliament’s Committee on Petitions (PETI) and the Conference of Committee Chairs (CPCO).